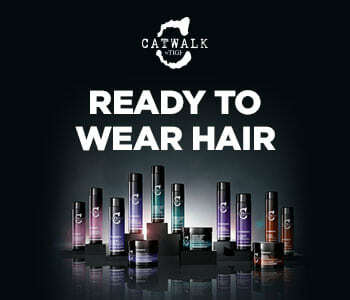 When hair is dry and damaged, the TIGI Catwalk Oatmeal & Honey collection will bring incredible shine and softness. The gentle, pampering collection nourishes each strand with replenishing proteins and lipids, rebuilding the hair’s strength to ensure it looks and feels much healthier. At the heart of the formula is a luxurious blend of acacia honey, wheat proteins and vitamin E, which envelop each strand in sumptuous care. After use hair is soft, supple and much more manageable, and scented with a delicious fragrance.